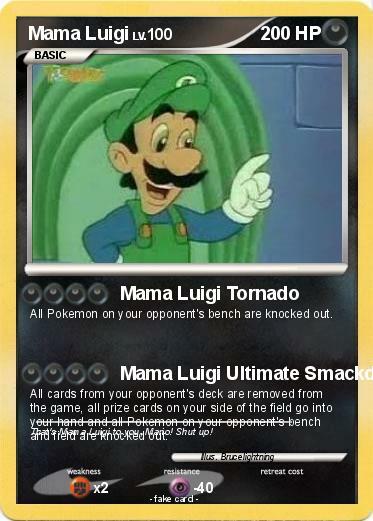 All Pokemon on your opponent's bench are knocked out. All cards from your opponent's deck are removed from the game, all prize cards on your side of the field go into your hand and all Pokemon on your opponent's bench and field are knocked out. Comments : That's Mama Luigi to you, Mario! Shut up!